That's my only concern as well. Once again density and height trump all other aspects of a proposal. Oh Victoria, when will you grow up. As uninspired, unimaginative boxes go I'd say this style is pretty good. It makes some effort to distinguish itself, unlike most of Victoria's lowrise apartment blocks (and there are hundreds of them). There's actually a fair bit of variety and contrast in that frontage. Strong colour contrast with the whole one-third/two-thirds light-and-dark thing (which breaks up the long width), not to mention those inverted "L" forms and those tall window sections that stick up above the main roofline. This overall look has been done in other places around town but for now I don't think it's common enough to be a cliche, is it? How many other apartment blocks in Victoria city are similar to this? Edited by aastra, 09 May 2016 - 10:27 AM. Agreed. Let's just hope the NIMBYs (and that is precisely who they are), don't get this one kiboshed. I'm actually seeing this "look" in Single Family homes and duplexes... there aren't too many other apartment blocks with it (yet). By my read of the drawings the variance the developer is looking for is not to accommodate the mechanical elements on the roof as you suggest, its for the height of roof peaks that contain windows/light wells. the mechanical elements are actually approx. 0.7 m above that (approx. only as no elevations are shown for the mechanical elements) which would put them at approx. 2.4 m over height not 1.7m. That is also assuming that the 3 lots are zoned R3-AM-1, and have a max allowable height of 12 m, there not. Only half of one of those lots has that zoning. 2.5 of the lots are zoned R1-B single family with a max height of 7.6 M just like the rest of the houses that actually front on Burdett Ave. Changing the zoning to allow a max height increase from 7.6m to approx. 14m is not a small height concession by anyone's standards. Saying its "Virtually identical height between existing buildings and the proposal." might be a bit biased in that it ignores the rest of the street? If we want to talk about affordability then we should also include a more diverse discussion about what constitutes affordability. When I talk about affordability I really mean access to "live in the neighbourhood", not just "own", which would include those that chose to rent. 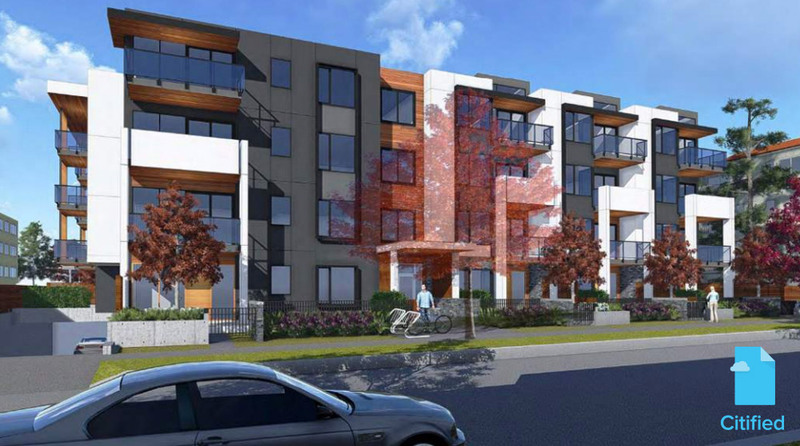 The existing houses contain 5 rental units and the developers proposal is to remove these rental units from the neighbourhood and replace them with 36 condo units for sale at market rates. In my mind removing rental units from Fairfield decreases the affordability of the area rather than improves it. Rejdev, if is highly likely that more than 5 of the 36 units at this proposed development would be rented out, based on patterns seen at other recent developments. Some "condo towers", like the 834, are majority-occupied by renters. Yes the building off of Cook street does have vehicle access off of Burdett. However, that is the secondary access, the primary access is off of Cook street and that building only has approx. 24 rental units. The three story building located to the east of the S shaped building is actually a 2 story 4 unit townhouse building with underground parking, precisely the type of development the I believe should be proposed for the subject site. The planning documents state the developer is seeking a height concession of 1.7 meters, not 2.4. I think it is important we stick to the planning documents and not independent calculations. As Kapten says regarding rentals, many condos are purchased only to be turned over to the rental market. We're very likely (virtually guaranteed) to see a net increase of rental homes with this proposal, despite it being a market condo development. RejDev, when you make a statement like "the proposal calls for a building substantially taller than any of the surrounding structures," it is important to point out that it is in fact equal to some and very similar in height to several of its immediate neighbours. While there may be single family dwellings on this block, this proposal is not pushing any height thresholds by any means. RejDev = Reject Development? A synonym for NIMBY? This was my thought too. RejDev is giving articulate rubuttals though. 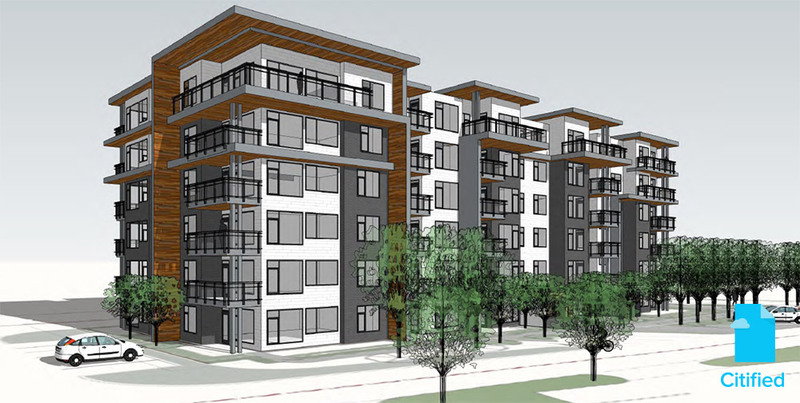 ...The existing houses contain 5 rental units and the developer's proposal [will] replace them with 36 condo units... In my mind removing rental units from Fairfield decreases the affordability of the area rather than improves it. And in my mind, 31 more homes will be available than currently exist. 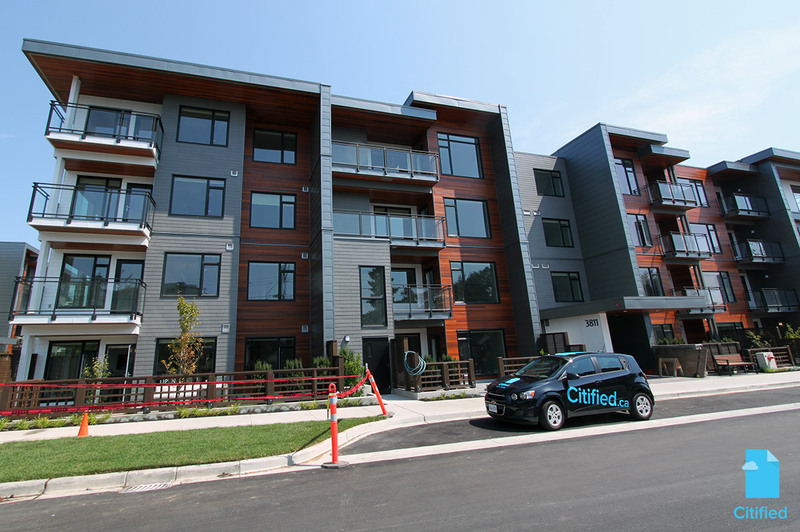 There is a good chance at least 5 of the 36 owners will move out of rental accommodations to purchase in this project for a net loss of zero rental properties. ...RejDev is giving articulate rubuttals though. Articulate, perhaps. Sensible? Not so much. It actually stands for "Rejuvenating Development" as I believe we need to look at alternatives to the same old tired approach which appears to be demolish and replace with big, boring, uninspiring boxes designed to; max density/site coverage/height/units/profits and minimizes the desires of the community for attractive landscapes, heritage, variety and livability. There are lots of successful examples of conversions, strata row house, and townhouses in the neighbourhood that provide the desired positive aspects for the community while also delivering significant profit to the developer. This is not an us vs. them or a NIMBY argument. This should be about collaboration to arrive at a solution that works for both sides which includes redevelopment on the site while providing a transition between higher density in the core and lower density in the traditional single family areas. I believe this thread is intended to discuss the project. ....This should be about collaboration to arrive at a solution that works for both sides which includes redevelopment on the site while providing a transition between higher density in the core and lower density in the traditional single family areas. But this project is surrounded by existing buildings of equal size and density. It is illogical to propose a development on any smaller scale. As for not being a NIMBY, can you say with 100% honesty that you don't currently live in one of the detached houses on the south side of the 1000 block of Burdett - or the 2 remaining detached houses on the north side? Edited by Nparker, 09 May 2016 - 09:01 PM. Each time people opposed to a project come onto VibrantVictoria we see a nearly identical conversation take place. Step 5: the new member returns with a statement that he or she is not against development. Just this development. Step 6: the discussion devolves into a debate about someone's personal likes and dislikes and readers quickly recognize the new member should have fast forwarded to step 5 and saved us all this song and dance.